Ah to be young again! I just had to start this post with that line. You know you realize you’re getting old when the new generation do not even know there’s such as thing as betamax no? Hayayayay! Nonetheless, I was happy to witness the launching of Pure N’ Fresh’s new line, their colognes alongside their latest endorser Julia Barretto. Teen years are filled with a lot of exciting experiences. It’s the perfect time to make awesome discoveries and experience new things in the company of your barkada and friends. This is the stage wherein you get to know yourself better as you go through different challenges and changes in yourself and in life. What’s important is that you stay confident and fresh no matter what you go through! Make Pure ‘n Fresh your partner as you go through the most memorable chapters of teenhood! Julia Barretto talked about her experiences as a teen and how one must look fab and fresh all the time! Before Innovitelle even got her to endorse the brand, she says she’s been an avid user of Pure N’ Fresh feminine wash. Pure ‘N Fresh, a brand specially made for teens, is from Innovitelle Inc., which is the personal care arm of United Laboratories. The teen brand started in 2006 with the launch of pH Care Pure ‘n Fresh Feminine Wash, which is specially formulated for teens and has been successfully in the market for 7 years! 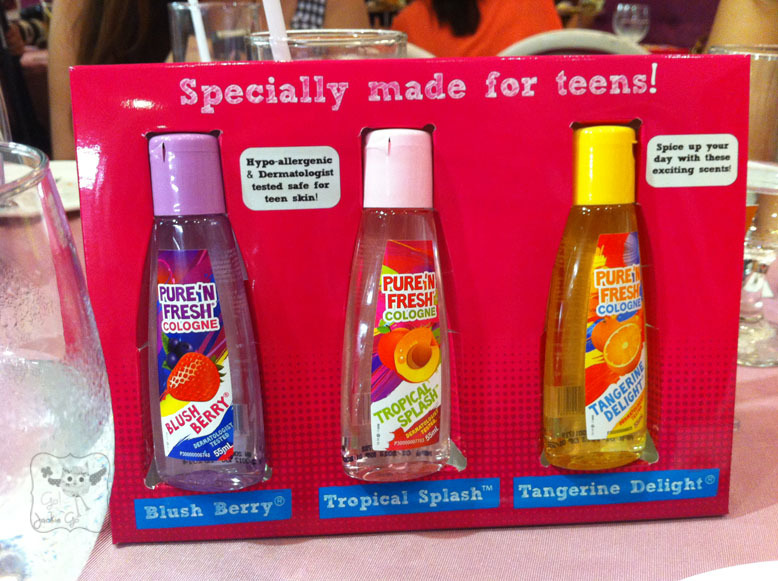 And since Pure ‘n Fresh understand teens’ needs, it’s introducing its newest line of Pure ‘n Fresh Cologne to keep you feeling fresh, confident and Fabulous all day, everyday! All Pure ‘N Fresh colognes are dermatologist tested and hypo-allergenic. It’s specially formulated for teens to complement their mild and sensitive skin! It comes in 3 fresh fruity floral scents which were designed by one of the leading fragrance authority worldwide (Takasago). Splash on Tangerine Delight, Blush Berry, or Tropical Splash before you head out to make sure you feel fabulous and confident no matter where the day takes you! I particularly like the Tropical Splash scent. It has a very mild summery scent that gives you instant freshness. Julia being interviewed by TV networks. Aliw that at a young age, she’s very good at answering the most intriguing questions thrown at her. 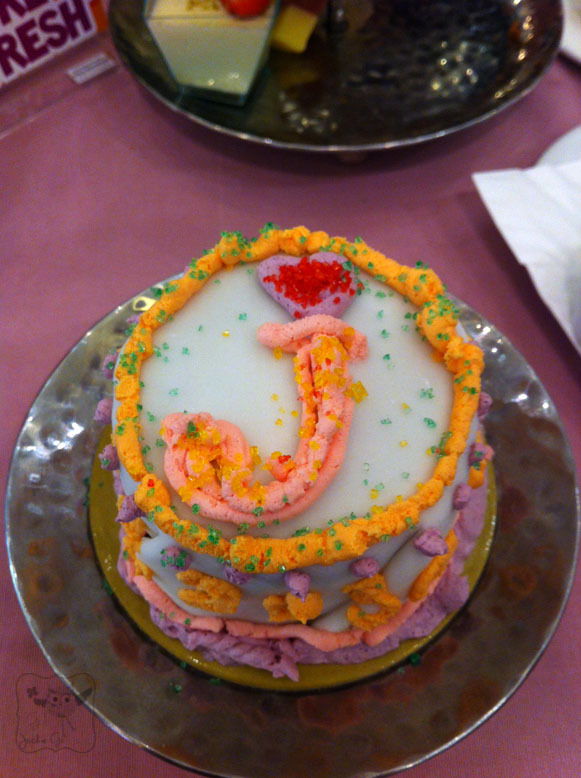 After the quick chikahan portion with Julia, we had the chance to design our own cake. 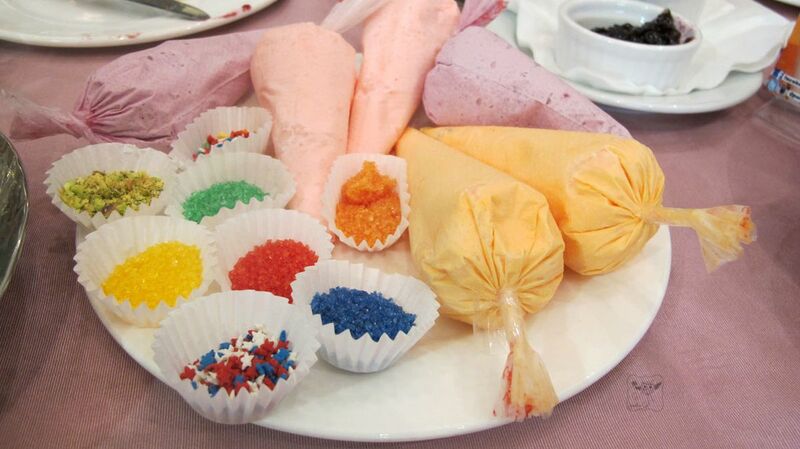 The inner baker in all of the guests were present during the event. 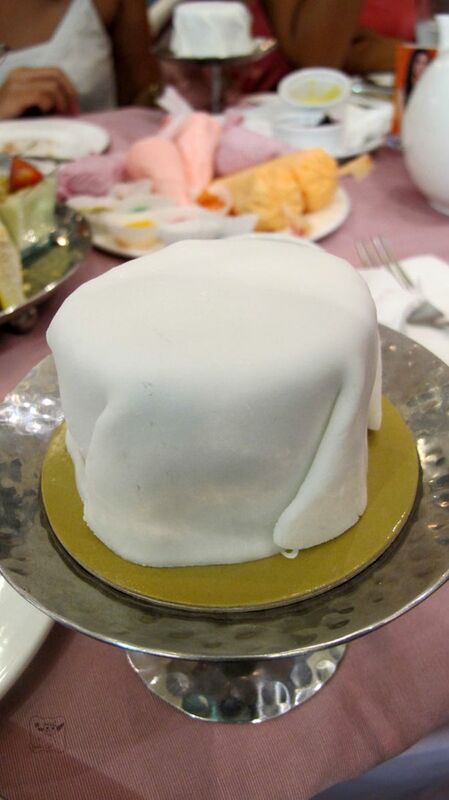 The most fresh and cute cake wins a spa gift certificate. I didn’t win but here’s my cake. J for Julia and Jackie too heehee. I together with Tracy, Ana and Krissy with Julia. 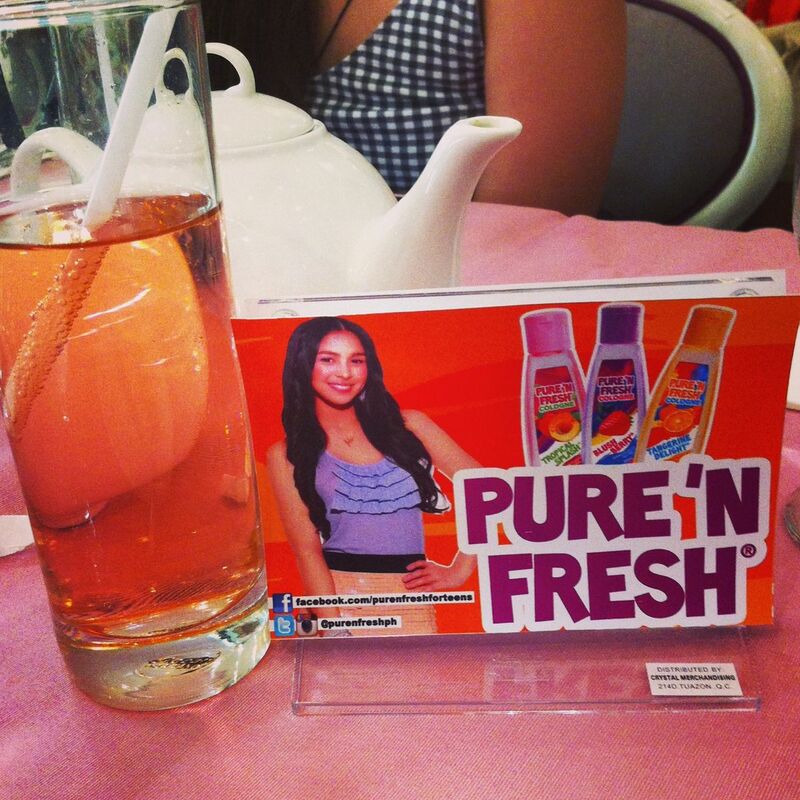 In line with this, Pure N’ Fresh also launched their Fabulousity at the Pure ‘n Fresh Facebook page! Visit: facebook.com/purenfreshforteens. It’s an online hangout unlike any other. This is where teens can learn and get tips on how to feel fresh, fine and fabulous! 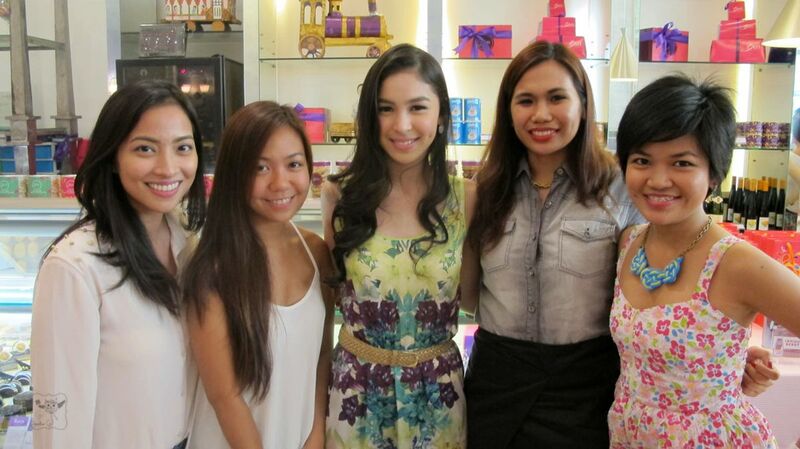 Watch out for online videos from the newest face of Pure ‘n Fresh, Julia Barretto! She will be sharing tips and advices on fashion, beauty and yes— even boys! There’s also a Fabulousity app wherein teens get to put up their own Inspiration Board. This is where they can post and pin inspiring photos on fashion, beauty, hygiene and everything under the sun! And the fun doesn’t stop there, teens will also be earning points for every step in the app like registering, uploading, and re-pinning! These points can be redeemed as instant prizes from Pure ‘n Fresh and from tie-up stores like Forever 21, Fully Booked, Tomato, Lay Bare, Posh Nails, Share Tea and many more! Check out Julia’s video as she shares tips and tricks on how to look fab in 5 minutes. For updates like Pure N Fresh on Facebook and Follow them on Twitter and Instagram.